This two-volume proceedings compilation is a selection of research papers presented at the ICANN-92. The scope of the volumes is interdisciplinary, ranging from the minutiae of VLSI hardware, to new discoveries in neurobiology, through to the workings of the human mind. USA and European research is well represented, including not only new thoughts from old masters but also a large number of first-time authors who are ensuring the continued development of the field. Volume I:Plenaries (8 papers). Learning Theory 1 (17 papers). Learning Theory 2 (16 papers). Deterministic Nets and Learning 3 (18 papers). Neuromathematics 1 (16 papers). Neuromathematics 2 (16 papers). Sensorimotor Control (10 papers). Vision 1 (17 papers). Robotics and Control (13 papers). Weightless Systems (14 papers). Hybrid Systems (15 papers). Speech/Vision 2 (16 papers). Volume II: Neurobiology 1 (11 papers). Neurobiology 2 (11 papers). Algorithms 1 (17 papers). Algorithms 2 (14 papers). Signal Processing (7 papers). Pattern Recognition 1 (11 papers). Applications and Pattern Recognition 2 (15 papers). Software (12 papers). 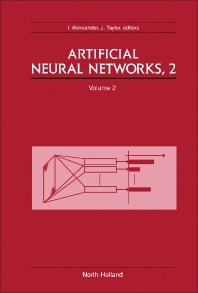 Cognitive Systems (23 papers). Hardware (17 papers). Commercial/Industrial Hardware Systems (16 papers). Algorithms and Applications 1 (15 papers). Algorithms and Application 2 (13 papers). Author Index.